Egyptian leading construction firm Arab Contractors will be in charge of the construction of a multi-million dollar port in Nigeria the firm’s Chairman Mohsen Salah has said. The multi-million dollar port in Nigeria is expected to cost the Nigerian government a USD280 million. Mr Salah said that they will work to ensure that the project is completed in time. Arab Contractors has also been commissioned to oversee the main utilities extension project in a residential city in Nigeria, worth 1.7 billion Egyptian pounds, Salah noted. The latest projects come as part of a series of other construction businesses in Nigeria being managed by Arab Contractors. Thus, the company’s volume of business in Nigeria registered one billion pounds. On the other hand, AC has captured a large number of utilisation and road projects in Equatorial Guinea and Chad. 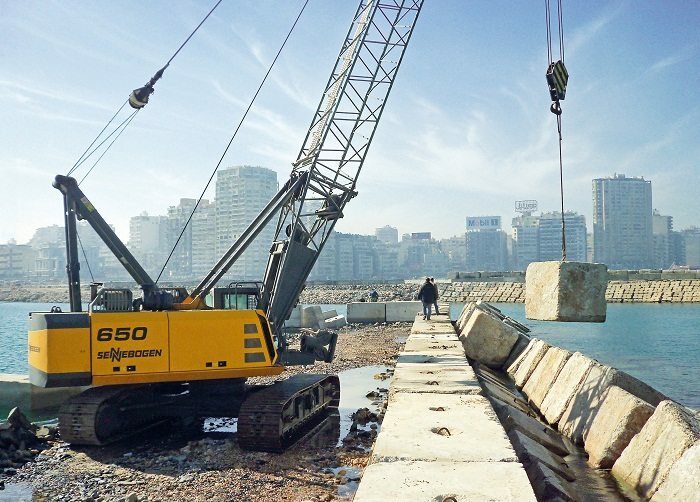 Arab Contractors is considered one of the most prominent construction firms in the Middle East and North Africa, and one of the largest companies in Egypt. The company in the last five years have been recording growth and that has been highly boosted by the projects that they have always clinched both in Africa and Asia. The Arab Contractors (AC) is one of the leading construction companies in the Middle East and Africa. With over 77,000 employees work in collaboration with their customers, partners, and suppliers in more than 29 countries.